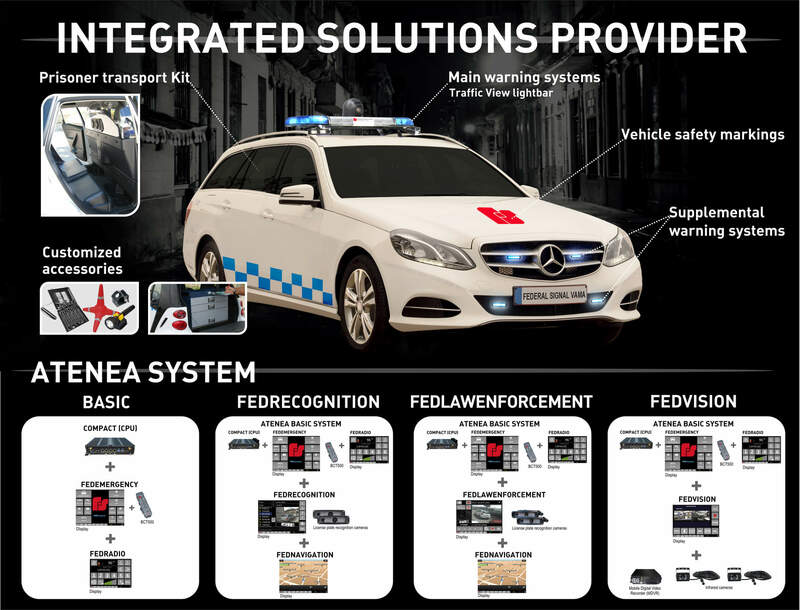 Federal Signal Vama presents ATENEA, an integrated system to manage all kind of signalisation and surveillance systems from an emergency or service vehicle. 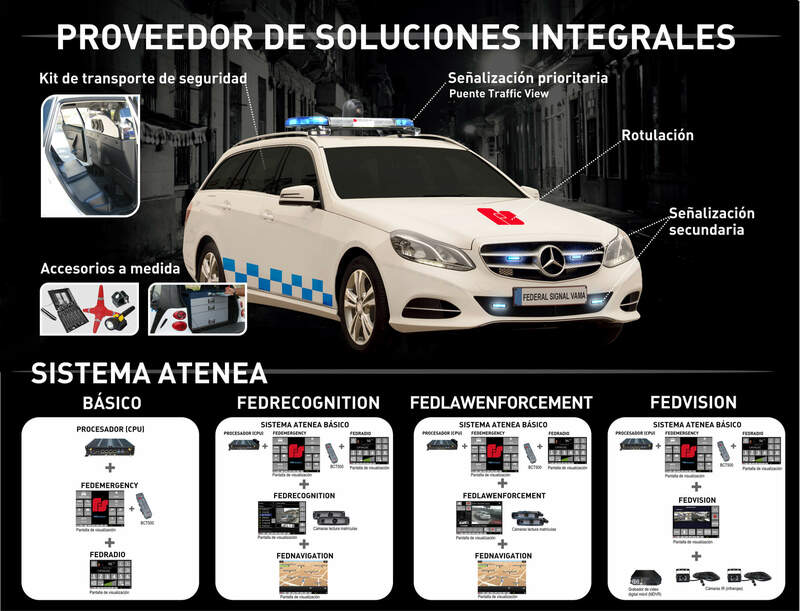 ATENEA integrated system manages all light and acoustic devices, communications, data analysis, audio and video recording, etc, even in a low visibility and bad weather environments. 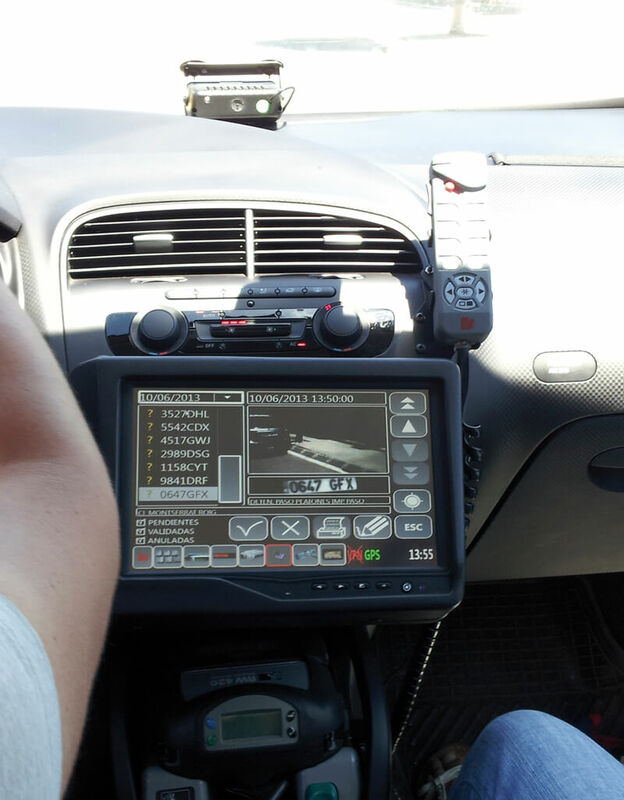 This system allows different applications, helping emergency personnel in its daily work. 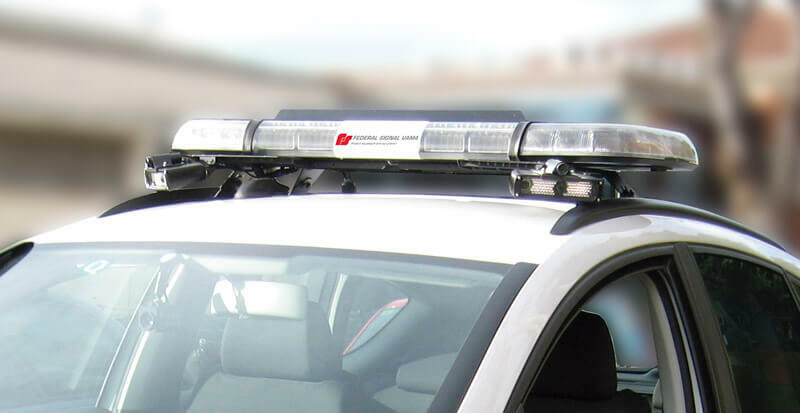 FEDRECOGNITION, an automatic license plate recognition ALPR. FEDLAWENFORCEMENT, an application for fines management. FEDCOM, an application for vehicle communications management. FEDRADIO, a commercial radio application. FEDVISION, a high definition video and audio recording. FEDNAVIGATION, in order to define exact vehicle position at any time. 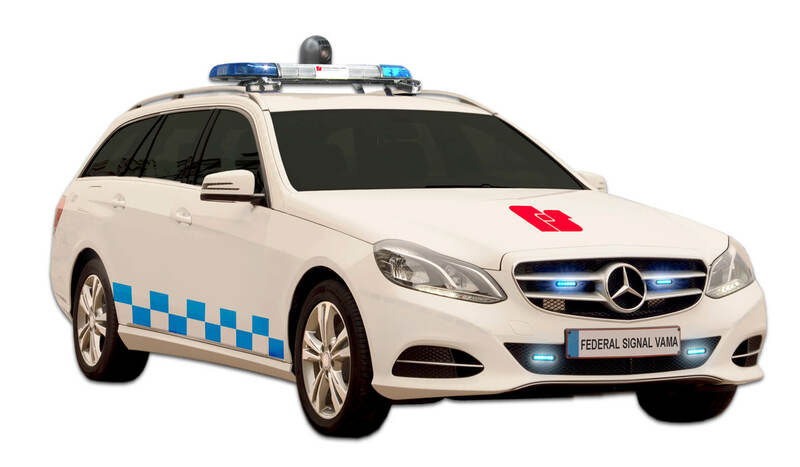 FEDEMERGENCY, to control light and acoustic vehicle signalisation.